2016 starts with a bang for Italian cinema. Quo Vado, shot on location in Bergen, Eidfjord, Svalbard (Norway), Conversano (Puglia, Italy) and Aprilia (Lazio, Italy), will open on midnight December 31 in select theatres such as The Space in Rome, and rolls out in 900 copies nationwide on January 1st. (Star Wars: The Force Awakens, in comparison, was distributed in a mere 850 copies in Italy). Quo Vado reunites writer-actor-comedian Checcho Zalone with director Gennaro Nunziante and producer Pietro Valsecchi. Industry insiders forecast box office gold. Checco Zalone may be little known outside Italy, but has starred in the two highest-grossing Italian films in history, both directed by Nunziante and produced by Valsecchi for Taodue Film. 2013's Sun in Buckets (Sole a catinelle) and 2011's What a Beautiful Day (Che bella giornata) pushed down Roberto Benigni's Oscar winner Life is Beautiful (La vita é bella), both conquering more than €50 million in domestic box office receipts. Quo Vado tells the story of Checco, who sees his dreams come true: He has secured a permanent position in a provincial state agency in his natal village, and lives happily with his parents. Checco is set for life. But one day everything changes. In Rome, the government launches public administration reforms, cutting civil servants and closing redundant offices. Checco is summoned to the ministry by the ruthless Sironi (Sonia Bergamasco), and faced with a difficult choice: Accept a redundancy package and give up his permanent position, or be moved away from home. Quo Vado was shot on location in Norway in the summer of 2015, with production services provided by VPB Film. 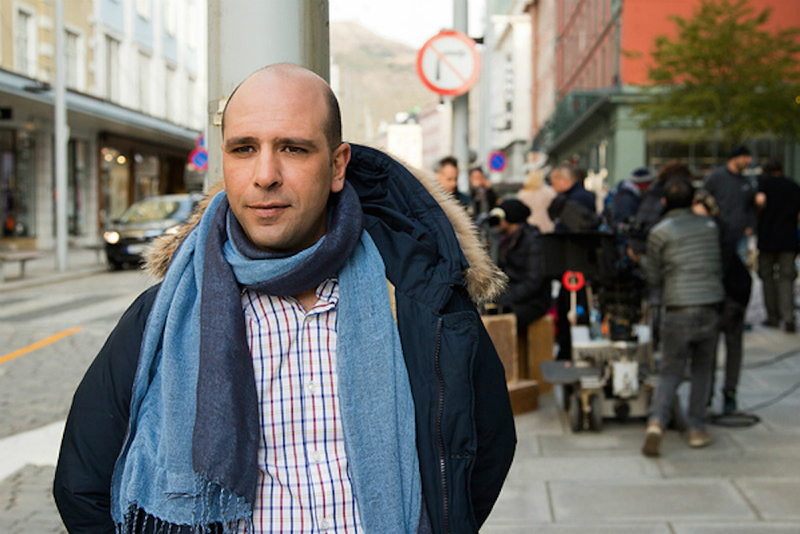 Checco Zalone in Bergen, Norway. Press photo. Checco Zalone on Svalbard, Norway. Press photo.